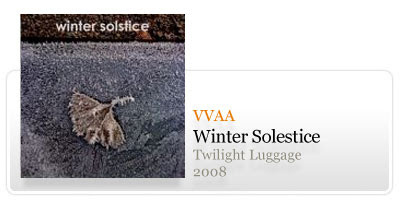 To celebrate one year of Twilight Luggage, and wrap it up in a seasonably fitting package we are now releasing our first compilation album, "Winter Solstice". 9 artists from this years releases, and 3 gifted composers we hope to work more with shortly, contributed exclusive tracks to what ended up as a quite varied and highly engaging album of experimental wonderfulness! 10 E.cho - Why Do They Always Semaphore?